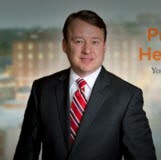 From offices located in Macon, Georgia, attorney Jon R. Hawk represents clients in personal injury wrongful death and workers' compensation claims throughout Middle Georgia and regularly handles cases in the Atlanta metro area. The Law Offices of Jon R. Hawk provides clients the additional benefit of having a staff nurse review their case to determine the full extent of medical needs resulting from the accident. In the event you do not have access to the appropriate level of medical care, our firm will refer you to a local resource or provider who can assist with your care. Jon Hawk is an experienced trial attorney who has spent years aggressively protecting the rights of individuals injured in any type of accident. Mr. Hawk offers a free case evaluation and represents clients on a contingency fee basis. You pay no attorneys' fees unless you recover money in a settlement or jury verdict, in the event your case proceeds to trial. Office hours in Macon are from 8:30 a.m. to 5:30 p.m. Monday through Friday, and Mr. Hawk accepts weekend and evening consultations by special arrangement. Article, Wrongful Death Cases in Residential Swimming Pools.